You’ve probably read the headlines about the Environmental Protection Agency’s proposed “Affordable Clean Energy” (ACE) rule. Here’s a breakdown of the proposed rule, from CUB’s perspective as a consumer watchdog. What is the Affordable Clean Energy (ACE) rule? How is ACE different from the Clean Power Plan? The Clean Power Plan set caps on power plant emissions and gave states a wide range of options to meet those caps, including promoting more solar and wind power and improving household energy efficiency. 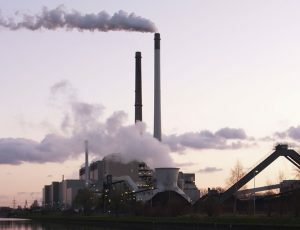 ACE removes caps on power plant emissions–states could decide to implement minimal reductions, or none at all. It minimizes renewable energy and efficiency, and focuses on improving the operating efficiency of coal-fired power plants. The Clean Power Plan gave energy efficiency a key role in reducing emissions, as it sought to cut power bills by an average of $85 a year by 2030. The EPA says its new rule could cut electricity prices by 0.2 percent to 0.5 percent by 2025. 1) CUB is concerned that the EPA’s ACE rule isn’t affordable (or clean). The proposed rule appears to be another way to bail out failing coal-fired power plants. In comparison, when the Clean Power Plan was announced in 2015, CUB Executive Director David Kolata said the policies that would have helped Illinois meet its carbon emissions goals under that plan are exactly the policies needed to make the power grid more reliable and affordable. Last year, when the EPA announced its intention to scrap the plan, Kolata said in a statement: “The Clean Power Plan would have led to increased investment in energy efficiency that reduces our electric bills and helps to create a more reliable power grid. It also would have sparked energy innovation, advancing new money-saving technologies in key areas such as efficiency and storage. Rolling back the Clean Power Plan is a step backward for all consumers.” By de-emphasizing efficiency and propping up failing power plants, the ACE rule threatens to raise electric bills in the long run. 3) Despite developments in Washington, Illinois is in a good position, thanks to the Future Energy Jobs Act. Illinois took a practical approach to the Clean Power Plan, seeing it as an opportunity to boost renewable energy and efficiency programs in the state to ultimately make the power grid more affordable and reliable. Because of the Future Energy Jobs Act, Illinois is well on its way to meeting the goals of the Clean Power Plan, and that’s good news for our power bills. But we can’t stop now, and it’s more difficult to achieve a least-cost energy future without supportive policy in Washington.